Quebec composer, performer and new media/video artist Martin Messier’s esthetic can be defined as a complex, left field and happily strange sound and rythm amalgam, constantly playing with construction and deconstruction. 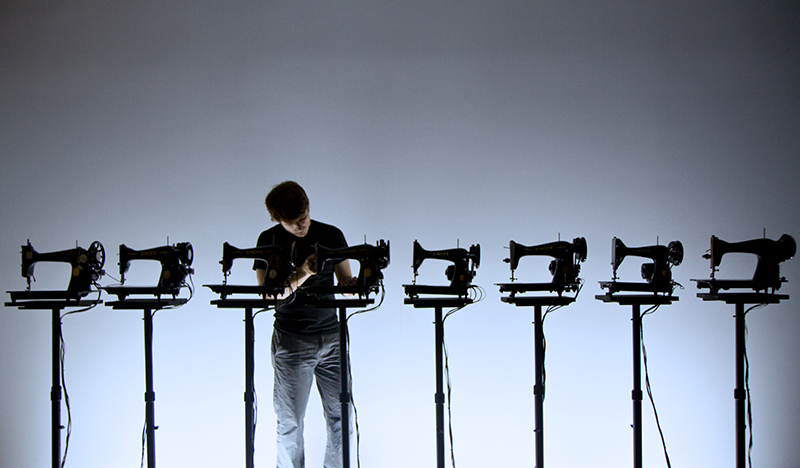 His audio performance, live electronics, installation, videomusic, music for dance and theatre have been presented in national and international festivals such as Mutek (Canada), Festival TransAmériques (Montreal), Bang on a Can (NY), Transmediale (Berlin) and Sonar (Barcelona, Chicago). 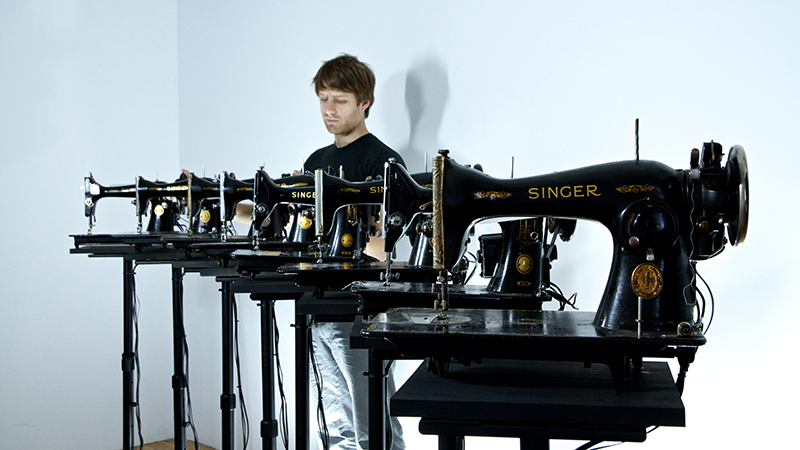 His work SEWING MACHINE ORCHESTRA is entirely orchestrated with the acoustic noises produced by 1940′s sewing machines amplified by means of microcontacts and process by computer. The work tackles the listener imagination primarily through the evocative power of those old industrial marvels. Whether they remind of specific incidents or recall the relationship to such objects, few people remain indifferent when they see them. 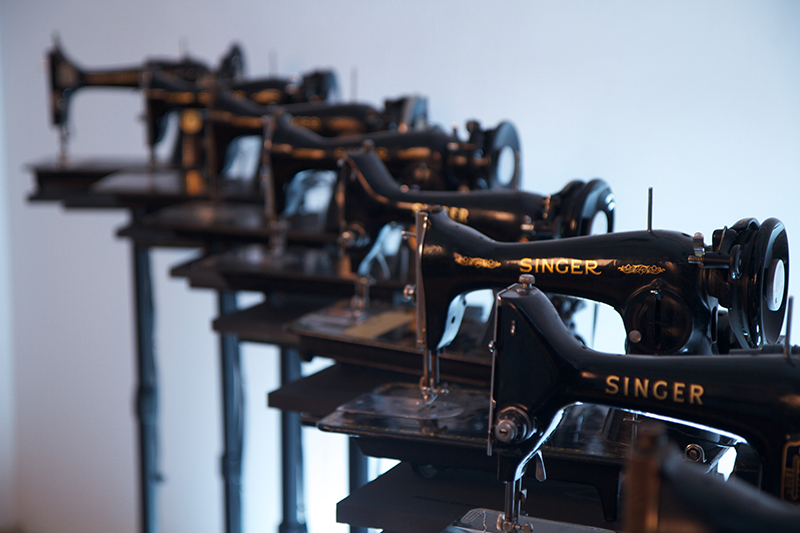 Messier doesn’t sew: he resuscitates old singers put asleep years ago in order to release, in some magical ways, the luminous and sonorous presence of the past. he carries his public in a dreamlike universe where each machine, as singular subject, is magnified. 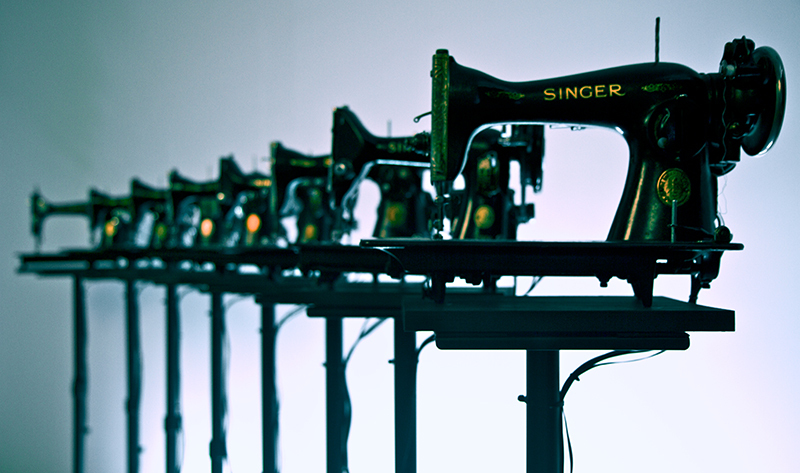 after years of silence, sewing machine orchestra is giving speech to these surviving objects of the industrial era. This creation was made possible with the support of the Canada Council for the Arts. L.E.V. 2014 announce the first round of confirmed names.